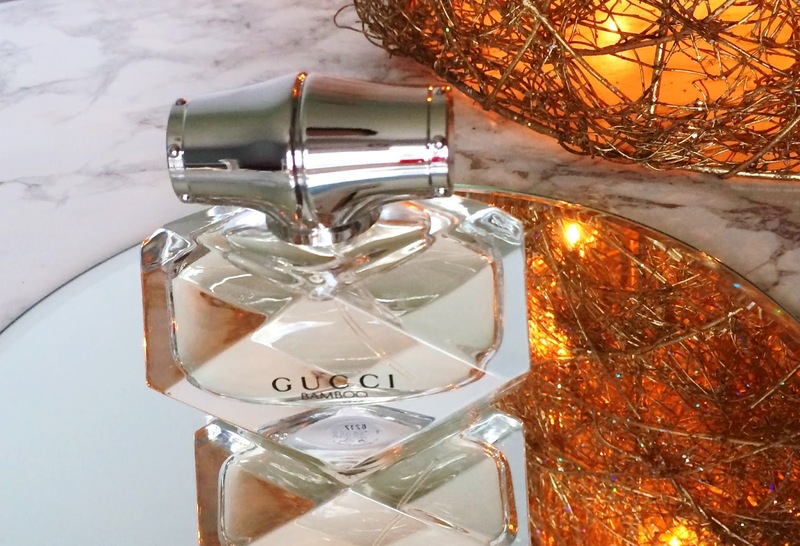 One of my favourite Christmas gifts to receive is perfume because it is a real treat and not something that I would usually buy for myself as it is a bit of a splurge item and for this reason, I always buy perfume for my mother at Christmas. 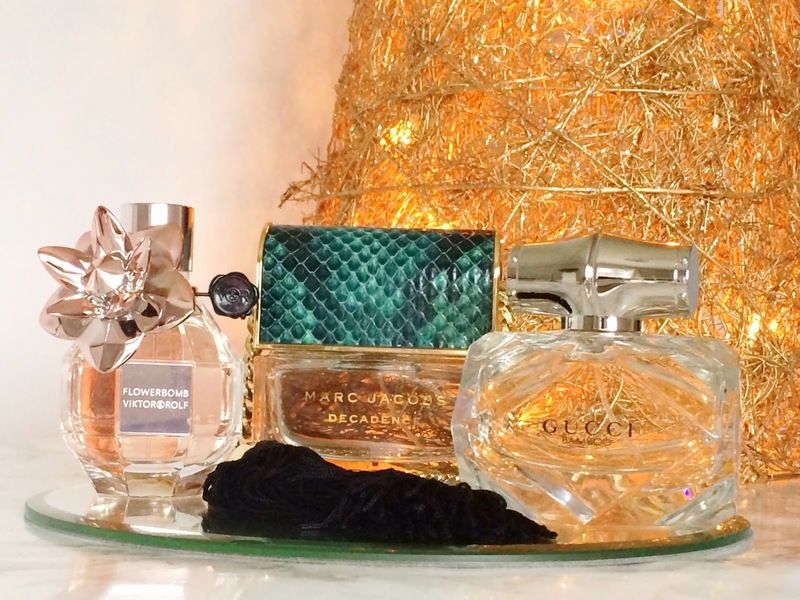 Today I want to share with you 3 luxury fragrances that I think would make the perfect luxurious gift this Christmas and Debenhams very kindly also sent me an extra 3 bottles so that one of my readers can win a luxury fragrance bundle so keep reading to find out how to enter! 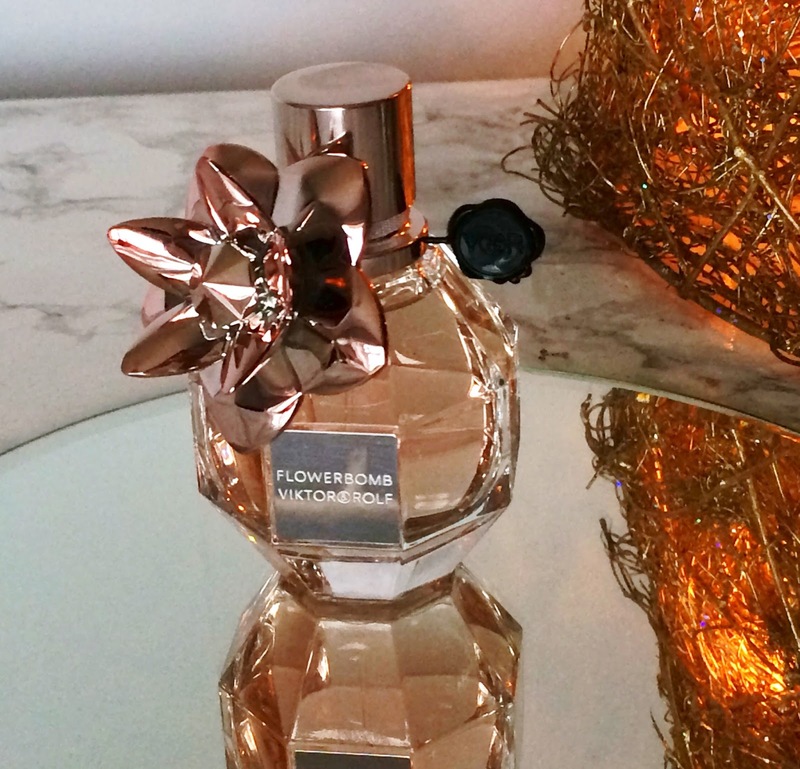 The first luxury fragrance is Viktor & Rolf Flowerbomb Eau De Parfum and this particular bottle is a Debenhams exclusive and it features a beautiful rose gold flower, which makes the original bottle even more beautiful and this can be kept when the perfume is finished as it is removable. The fragrance itself is both floral and sweet and is warm rather than fresh. Everything about this perfume screams luxury and because it is an Eau De Parfum, it is really long-lasting. This would make the most amazing Christmas gift for one of the ladies in your life. Next up is Marc Jacobs Divine Decadence Eau De Parfum, which is the lighter sister of last year's Decadence release. 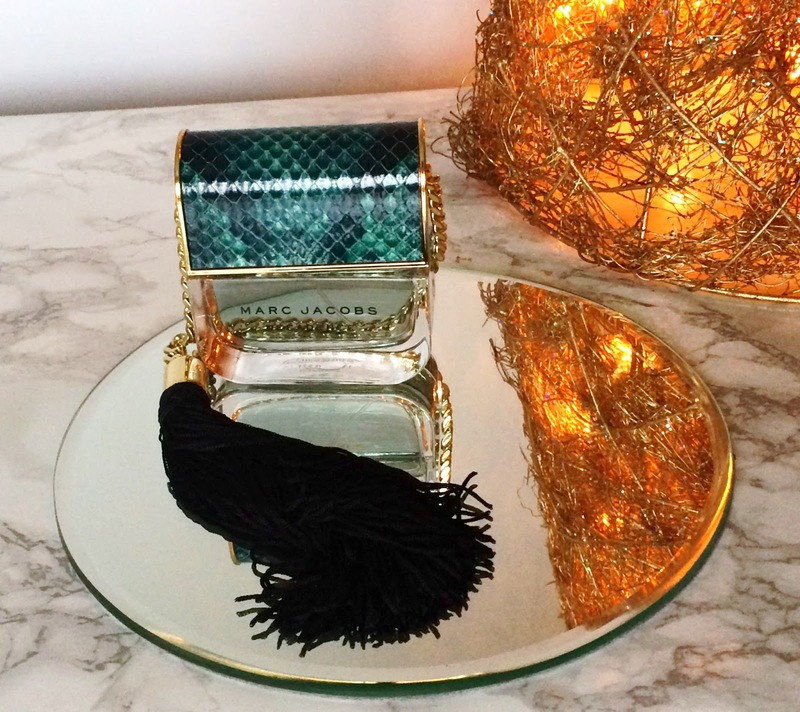 I really love the unique and fun packaging of this perfume - it looks like a handbag with the faux snakeskin lid, gold chain and long tassle. The fragrance itself is floral with hints of citrus, spice and warmth making it perfect for both day and night time. It oozes sophistication and glamour and would suit all age groups. Again, this is an Eau De Parfum, which means that it will last for around 7/8 hours on the skin. Finally, is Gucci Bamboo which is the lightest scent of all 3. I adore the diamond shaped bottle with the pink perfume inside - it looks so pretty on my dressing table. This is a classic, timeless, feminine scent - lightly floral with a hint of citrus and yet also woody without being too warm and like the other 2, it is an Eau De Parfum. This fragrance is suitable for all age groups and I'm sure any of the ladies you have to buy for would love to receive this elegant perfume. Have any of these caught your eye? Do you like to receive perfume for Christmas? I'd love to hear your thoughts in the comments below! Don't forget to use your reward card in Debenhams to earn points, which you can use to treat yourself! Now on to the very exciting giveaway! One of my lovely readers will win all 3 of these fragrances. They are all 50ml bottles and Eau De Parfums. The rules are really straightforward and you can enter via the Rafflecopter form below. You can earn extra entries by regramming the giveaway photo and tagging both @beautylymin and @debenhams with the hashtag #foundit, by leaving a comment telling me what your favourite luxury fragrance is and you will earn more entries by leaving a relevant comment on any of my other posts. If you don't complete steps 1-6, your entry will not be valid and will be deleted. If you follow and then unfollow, your entry will not be valid and will be deleted. The giveaway will end on January 10th at midnight and the winner will be chosen via random.org. I will then contact the winner who will have 48 hours to respond to my mail. If the winner does not respond within 48 hours, they will be disqualified and another winner will be chosen. If you are under 16, you must ask the permission of your parent/guardian to enter as you will have to disclose your address. This giveaway is open to the UK & Ireland only due to restrictions on posting liquids. Debenhams have very kindly provided the prize. a Rafflecopter giveaway Follow Beauylymin on Bloglovin, Twitter and Instagram for regular updates!